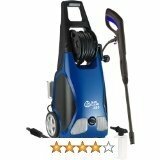 Pressure Washer - Steam Cleaner Reviews is my personal website. It came into existence in the context of my passion for product reviews. The advice that i give here is personally my own and may step on other people's toes especially some manufacturers (even though it's not my intention). I have great respect for excellent and well thought-out products but will by no means hide were products are under designed and lacking well thought-out functionality. It is in this context that Pressure Washer - Steam Cleaner Reviews the website you are visiting does not accept any incentives to review products. We appreciate manufacturers and stockist's sending us their products for reviews but we have a life time commitment to our visitors not to compromise on our review values. We hope you find this free resource useful and will refer your friends. You may still need to ask your stockist or manufacturer just before making a purchase to ensure that all your answers are satisfactorily answered. 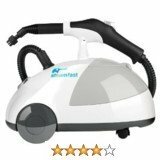 Even though we do all we can to give accurate and reliable information, Pressure Washer - Steam Cleaner Reviews can not be held responsible for erronous or any other purchase based on our reviews. Thank you again for visiting, your visit is valuable to us and motivates us to keep reviewing.